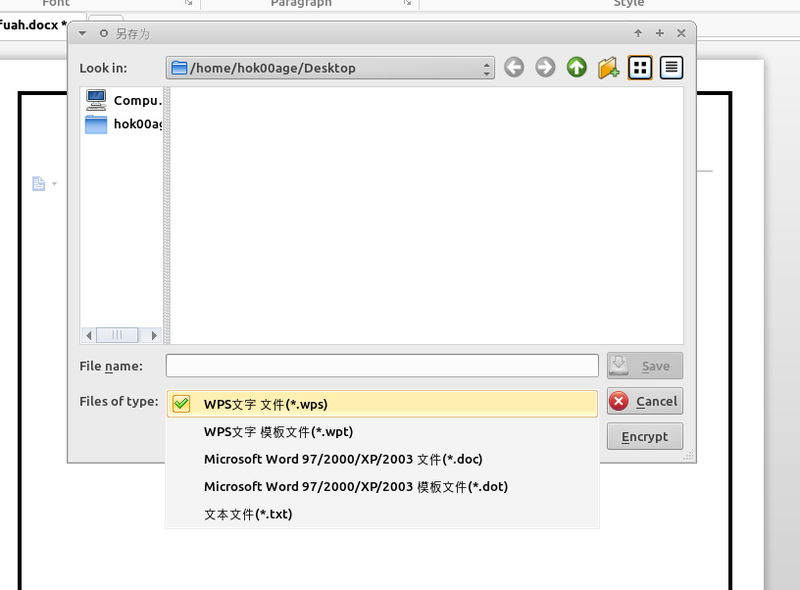 WPS Office a.k.a Kingsoft Office is a very good free Microsoft Office alternative for Linux users including Ubuntu. 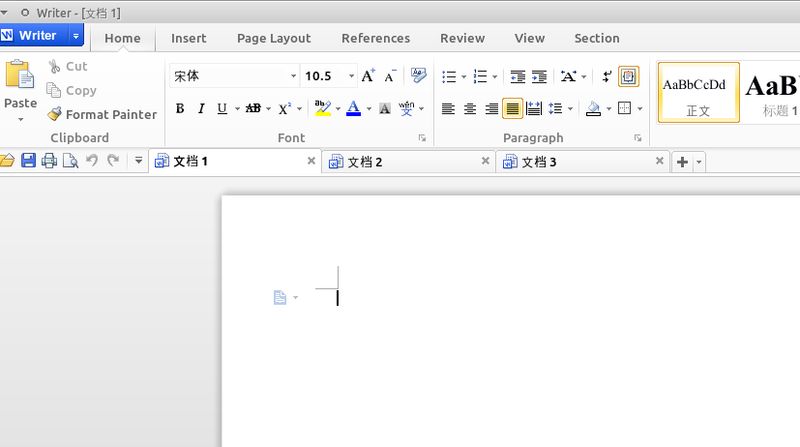 It has familiar ribbon-style user interface just like Microsoft Office 2007 has, it also has an ability to switch between ribbon-style interface to classic interface like LibreOffice does. WPS Office comes with three main office applications those are Writer for word processor, Spreadsheet for Microsoft Excel alternative, and Presentation for Microsoft PowerPoint alternative. Those three applications are equipped with main features you most used in Microsoft Office and LibreOffice. 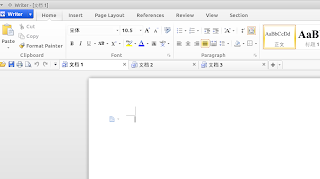 WPS Office Writer can open .docx file properly without losing document format, it can also open spreadsheet and presentation created with Microsoft Office perfectly! Another great features of WPS Office for Linux is its ability to open many documents in one windows, the files are opened in tabs, so there is no need to open many windows for many documents. 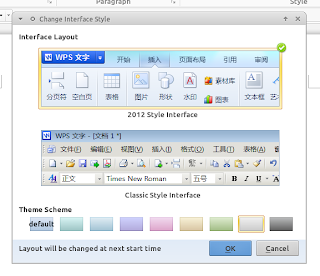 WPS Office for Linux is a part of Chinese government projects to provide national operating system for their people so that WPS Office for Linux uses Chinese language by default. 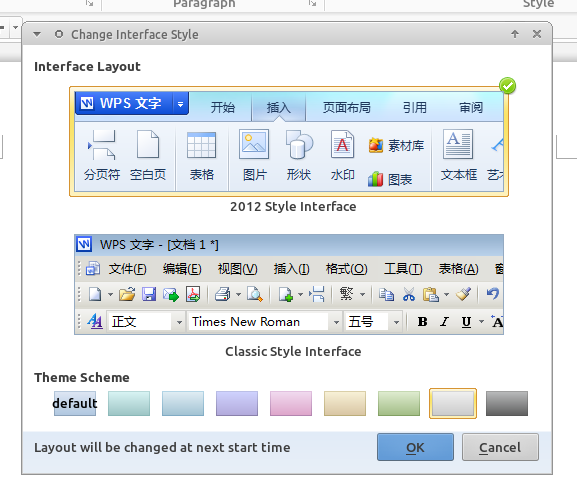 As it is a government project to provide an alternative to Microsoft product, WPS Office for Linux will be popular in China. 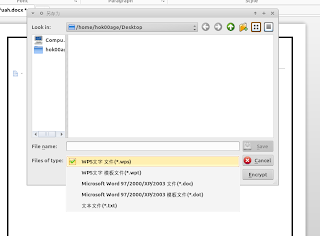 Open WPS Office again and it should display in English.